The Winter that keeps on giving! With over 80cm of snow falling at 3800m over the last 48 hours and with a forecast of Cloudy with Sunny spells, Me and Katsu decided to at least go and have a look up the Midi! On arrival and after speaking to some local skiers in the bubble who were all heading down the Rond, we thought that it would be a safe bet doing the Gros Rognon, which was really good on monday. 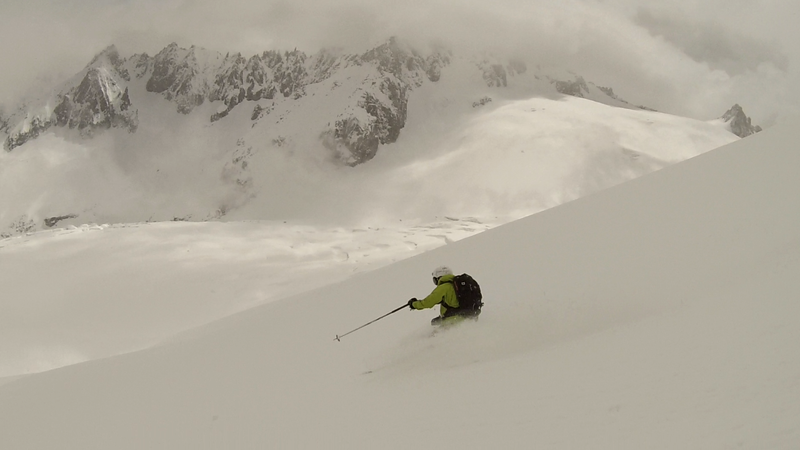 After a short, snowy walk down the arete we had our skis on and the clouds came in. 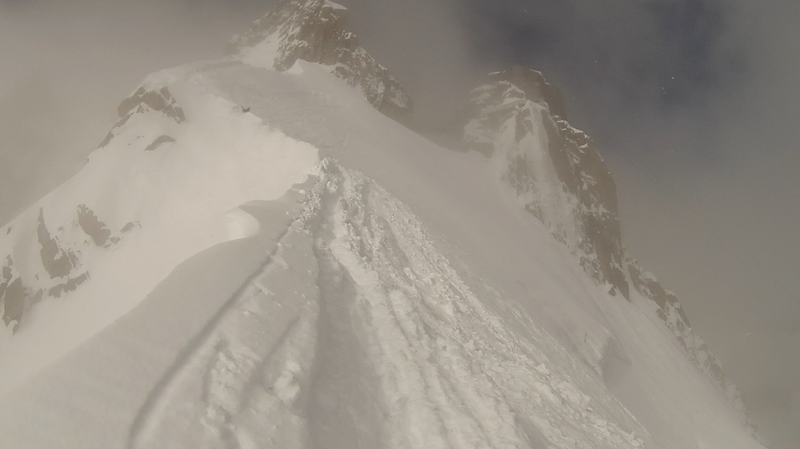 Skis on and the short steep face to the col was good fun, nice and deep, then we hit the heavy flat snow which leads to the top of the Rognon. This was hard going and almost required skins! After about 15-20 mins we were back on the steeper stuff again and there were no tracks in sight! Katsu doing her portion of the trail breaking! Once we were at the top of the steeper face we were in the clouds again. 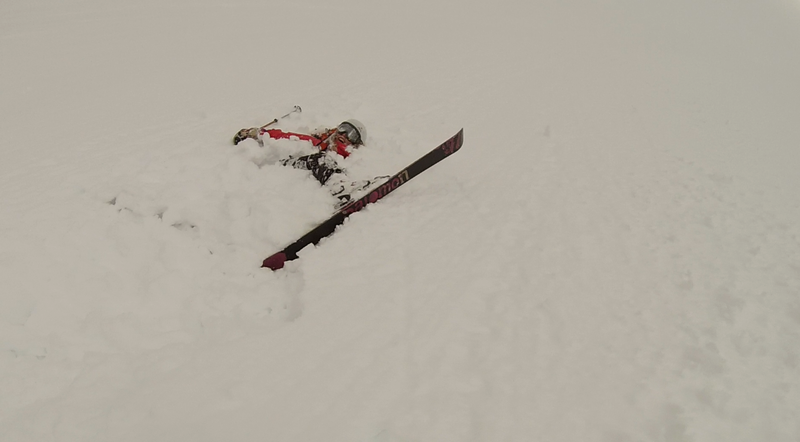 we decided to wait it out rather than waste the ski in complete whiteout. Ten mins later we had a small window so quickly made our way down the bottom of the face. The snow was almost up to my waist and although it was not light, it was fresh and it just took a little bit more concentration and strength to ski fast! She nailed it after a couple of tumbles! 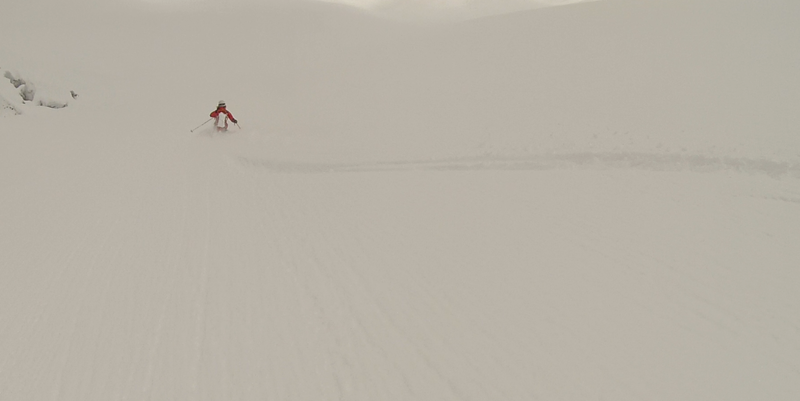 Nice big turns in complete silence. It was nice to look back at a popular route and only see two tracks, and when one of them is your own! 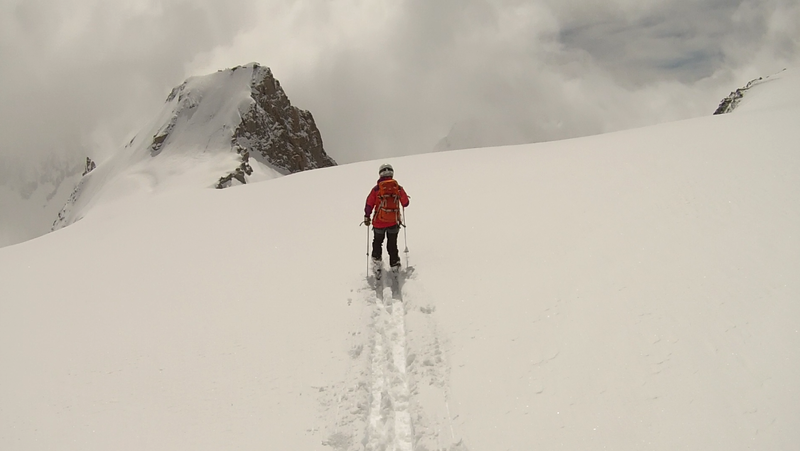 We had a little more hard work in deep snow to get back to a track that someone had put in from the Petit Envers and then it was smooth sailing all the way back to the ladders at Montenvers. Still cant believe it is May!! 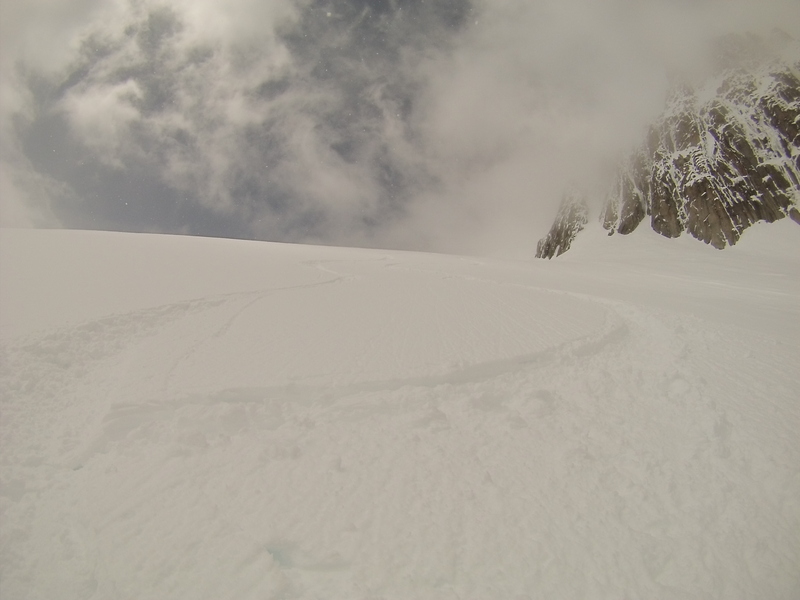 No summer for Chamonix this year!